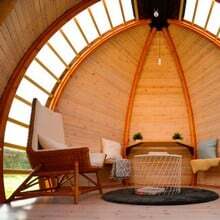 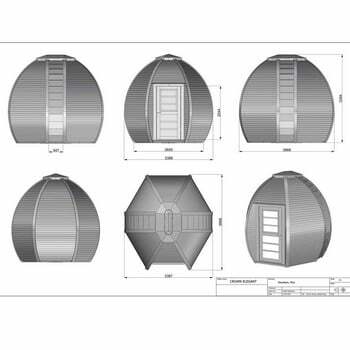 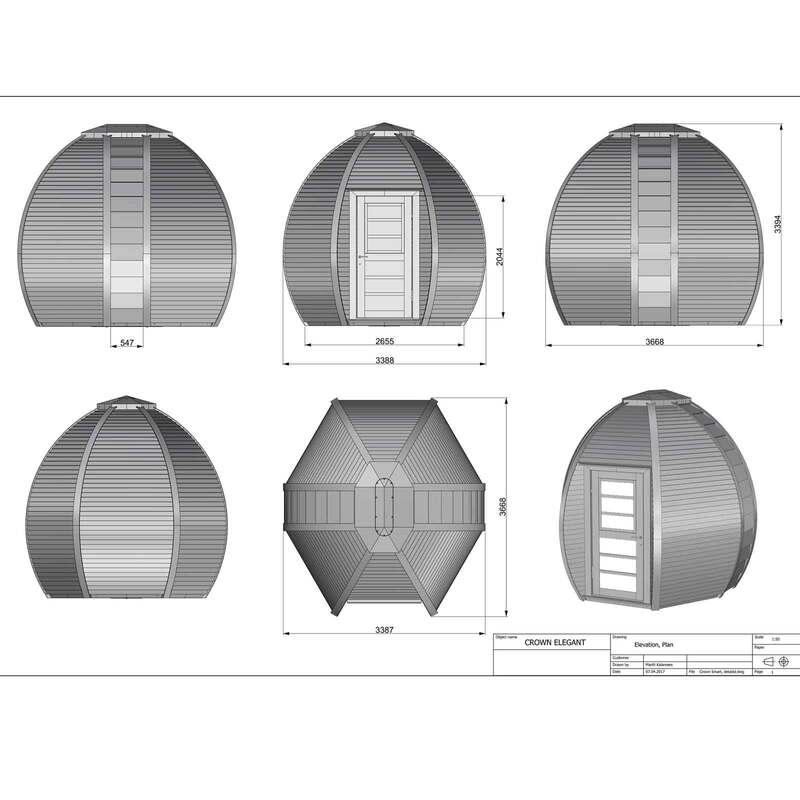 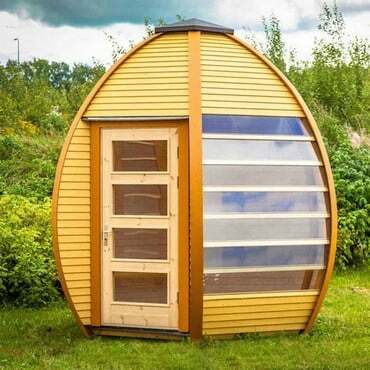 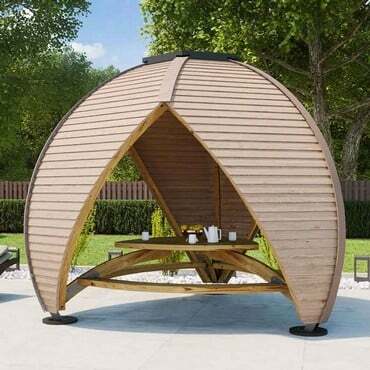 The Elegant Garden Room is the largest garden studio in this range of curved design garden structures, combining a high impact appearance with practical functionality. 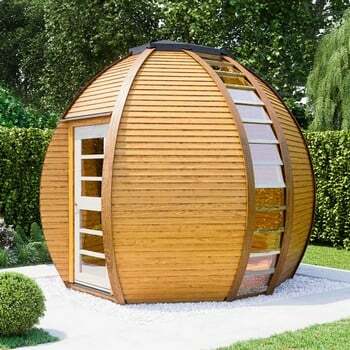 The clean and modern yet timeless design will add a stunning focal point to your garden and despite its many possible uses this elegant garden room in most cases, can be erected without a building permit. One of the first details to catch the eye is the floor-to-ceiling windows. 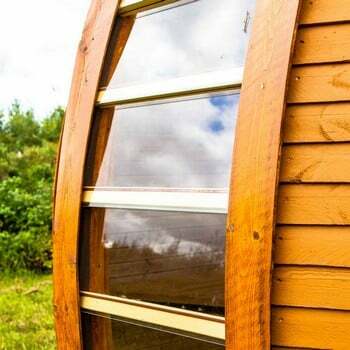 This simple but ingenious solution was specifically conceived to create that special ‘outside in’ experience, day and night. The door features an opening window in the top half of the door which is held open by concealed friction hinges. Inside the house it’s quiet enough to be able to concentrate on work or studies but the great acoustic qualities also make this an ideal room for musical activities.